Join us in our 90-year journey building vibrant, resilient communities for the people of Santa Barbara County. Open a fund with the Santa Barbara Foundation today so you can support the causes and organizations you care about.  Give to the areas where the Santa Barbara Foundation creates the biggest impact. Join others and give to a cause or organization you are passionate about through the Santa Barbara Foundation. Give a gift to the Santa Barbara Foundation that will positively impact the next generation and leave a lasting legacy. In the last two years, the Santa Barbara Foundation distributed approximately $7.4 million in community responsive grant programs to our nonprofit organizations to support them in addressing the needs of our communities. Join us in our fight to solve our county’s most pressing challenges in a variety of issue areas and inspire lasting change for generations to come. Choose your role and find out how we can help. You can make an impact in the areas that you are passionate about with a donation to the Santa Barbara Foundation. Learn more about how the Santa Barbara Foundation can support you in your charitable giving. Your talent and experience strengthens our community and helps Santa Barbara County thrive. Learn more about how the Santa Barbara Foundation can assist you and your clients with their philanthropy. The Santa Barbara Foundation is working to make Santa Barbara County a better place now and for generations to come. Learn more about how we support and collaborate with our nonprofit partners to achieve this vision.